One trip to an NBA arena can provide a lifetime of memories. And the ticket that opened the door, the actual game ticket, can help capture those memories forever. So whether you have a large ticket collection or you're just starting out, a Ticket Album is the perfect item to store, display, and protect your memories. 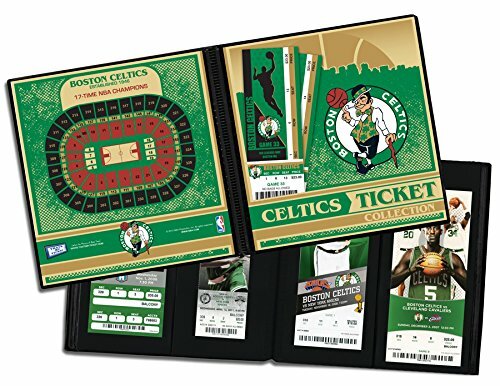 A Ticket Album is a photo album for your tickets and allows you to create a table-top display that will keep the memories of the games you've attended as fresh as the day you were there. Also makes an ideal item to present tickets as a gift. Includes arena seating chart on back. Note: Tickets shown not included.